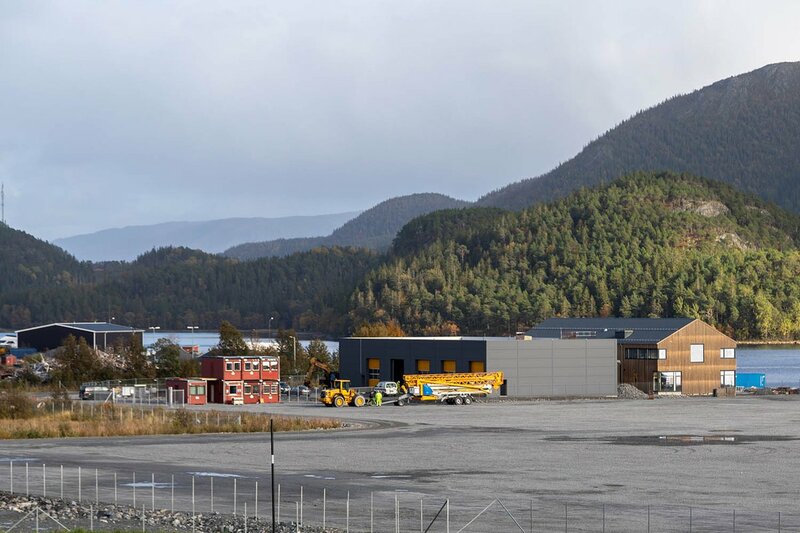 The animation shows possible development at Monstad Harbor. 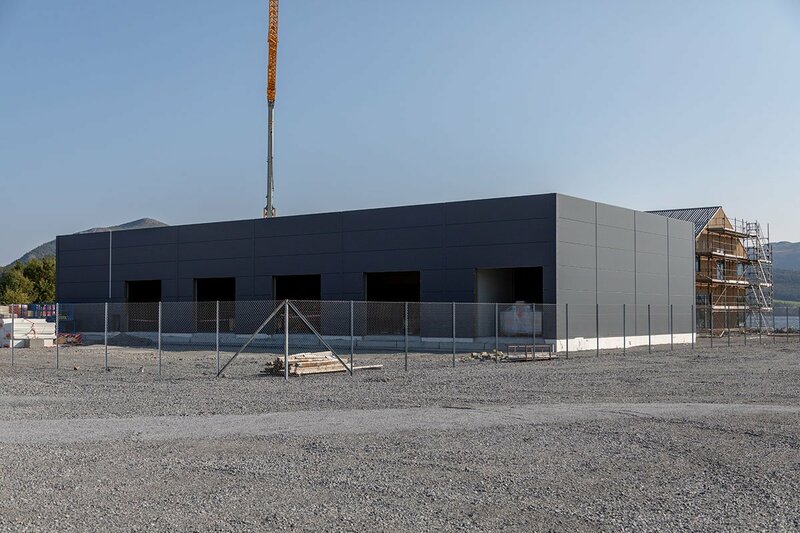 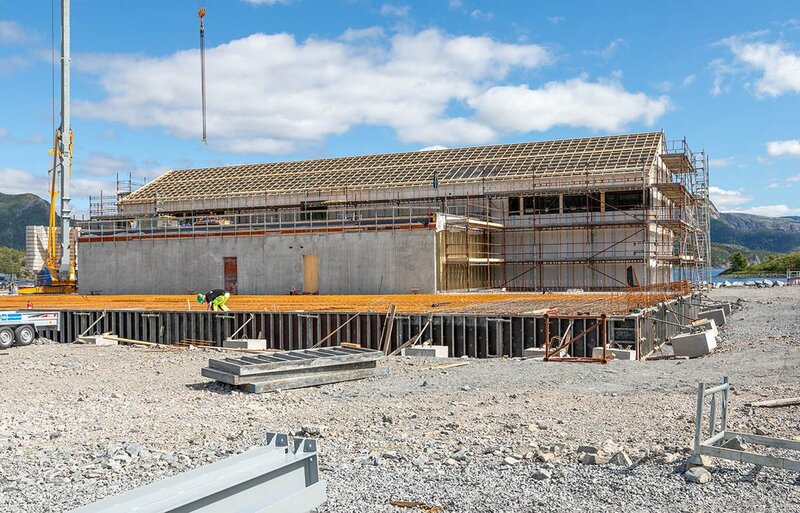 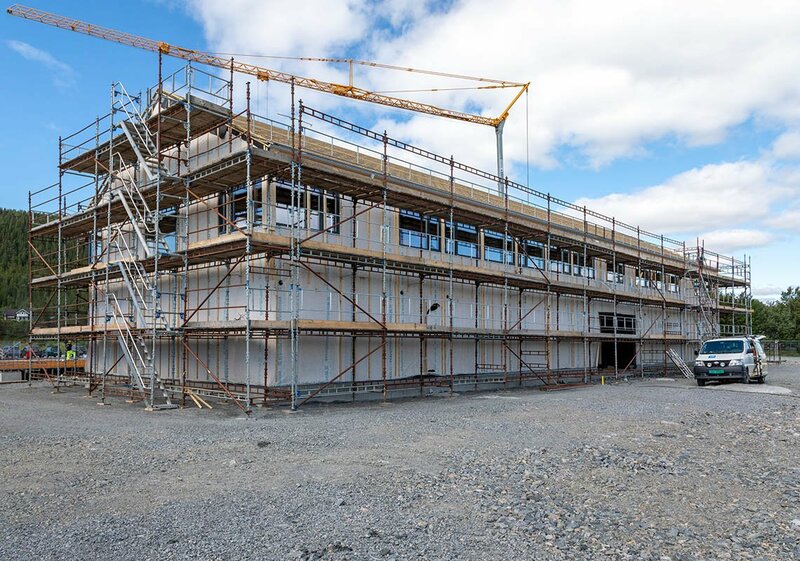 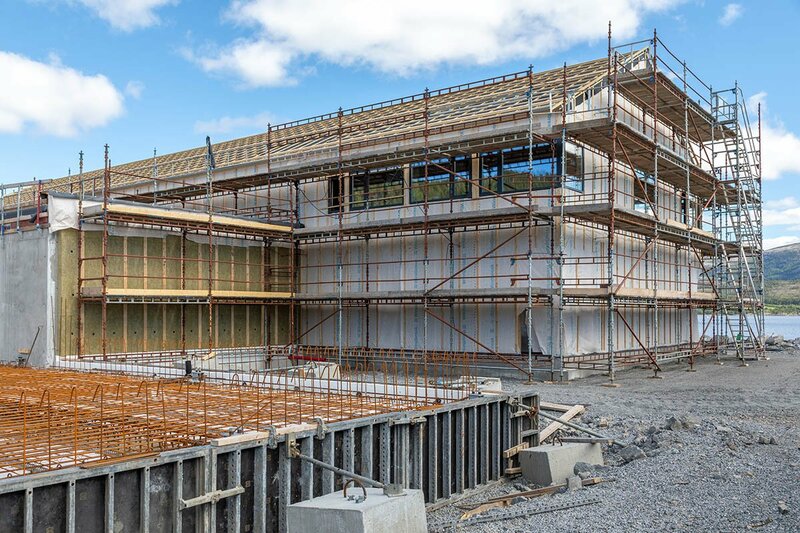 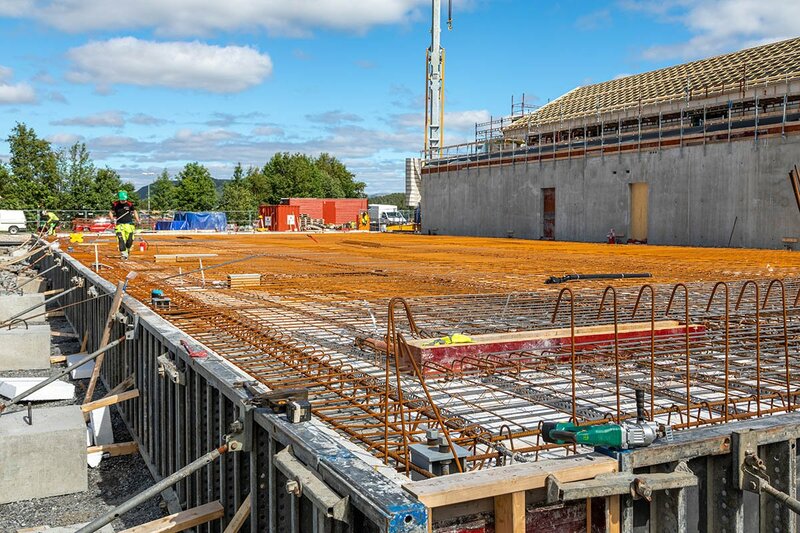 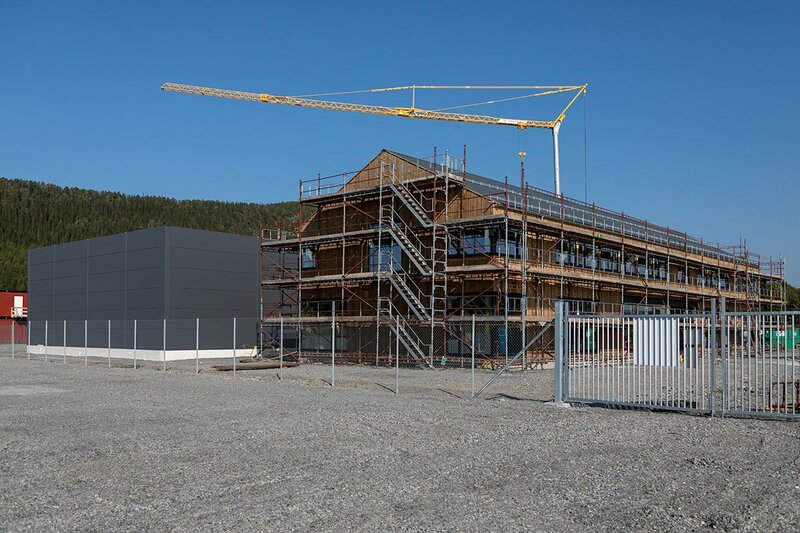 As of May 2018, Fornybarsenteret (Renewable Center) is under construction (between wind turbine and the sea). 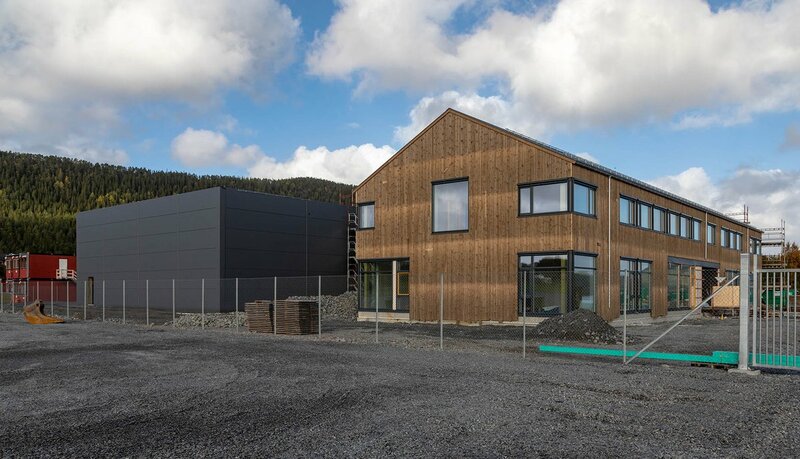 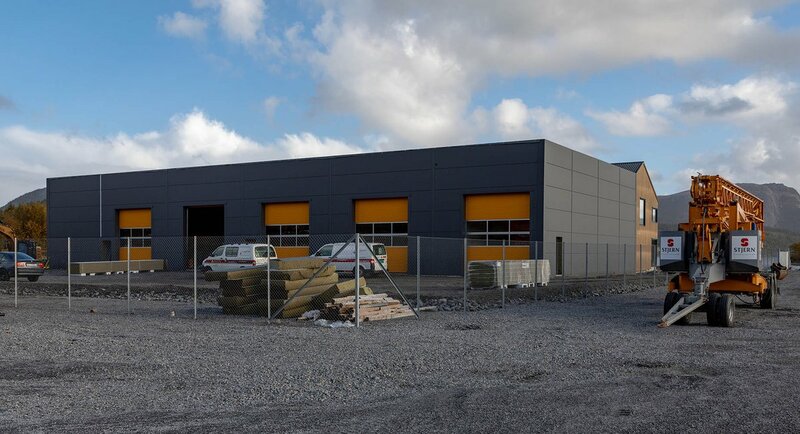 The rest of the area is currently used for intermediate storage of elements for the wind farms at Fosen.